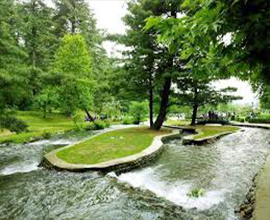 One of the tourist attractions around famous Kokernag spring is Trout Fish Hatchery with its channels stocked with fishes of different sizes and ages. Introduced in early 1980’s, the trout here has increased in number and the export capability of the Hatchery was achieved in 2009 when fish seeds were exported to north east and Bhutan from here. 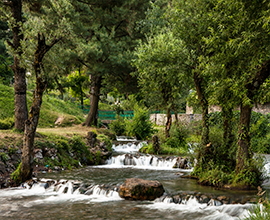 Located just nearby to th Kokernag, the waters of the Kokernag spring are fed to numerous channels where trout fishes of many varieties are reared. The Hatchery is used for breeding and a high quality seed is produced here. This seed is further distributed to the J&K Fisheries departmental rearing units all over the State and to the private fish farmers. This quality seed is also used for stocking in all the water bodies of the State. The Hatchery is surrounded on its western side by a hill covered with dense forests and consigning the place a spectacular look. There is a garden as well and it is bedecked with variety of flowers that add to the charm of the place. 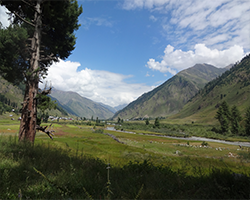 The water channels are interspersed with long patches of grassy beds dotted with willow trees, providing shade to the extremely sensitive trout fishes during summers besides increasing the fascination of the ambience. 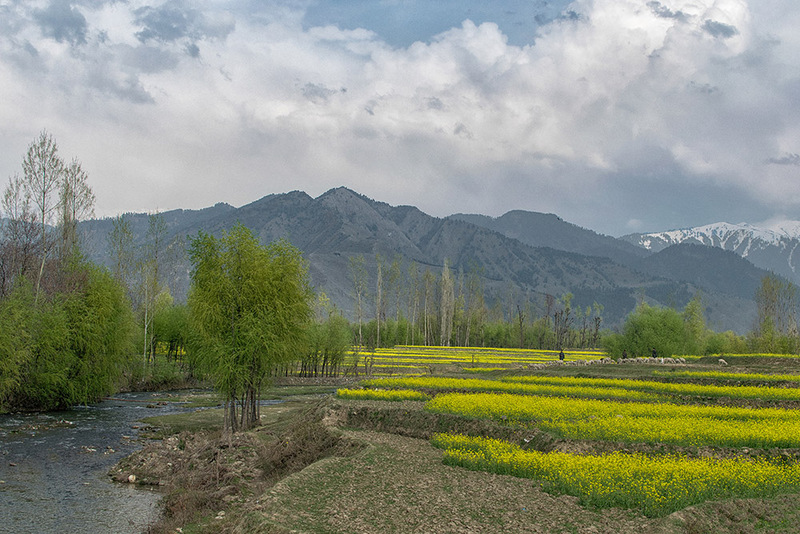 Owing to successful, introduction and subsequent establishment of trout in the valley of Kashmir in 1900 AD, the Department of Fisheries was created in 1903 AD and re-organized in 1978. Trout Fisheries in the State received a major thrust during the last two decades with the establishment of Mother Trout Fish Farming Project at Kokernag under European Union Assistance. Here quality Trout seed of Rainbow Trout and Brown Trout is being produced. Trout culture is under taken under modern technology of breeding and rearing to ensure better survival at different stages of the fish. Moreover, a highly equipped Trout feed mill imported from Holland is also housed in this Hatchery. 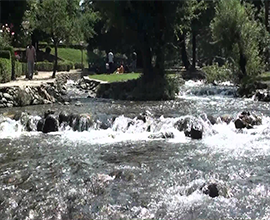 A visitor will enjoy the serene environs of Trout hatchery as well as the trout fishes in their natural environment simultaneously.